Preston can be assumed to have been an important ecclesiastical centre before the Norman Conquest, as its name is a contraction of ‘priest’s town’. 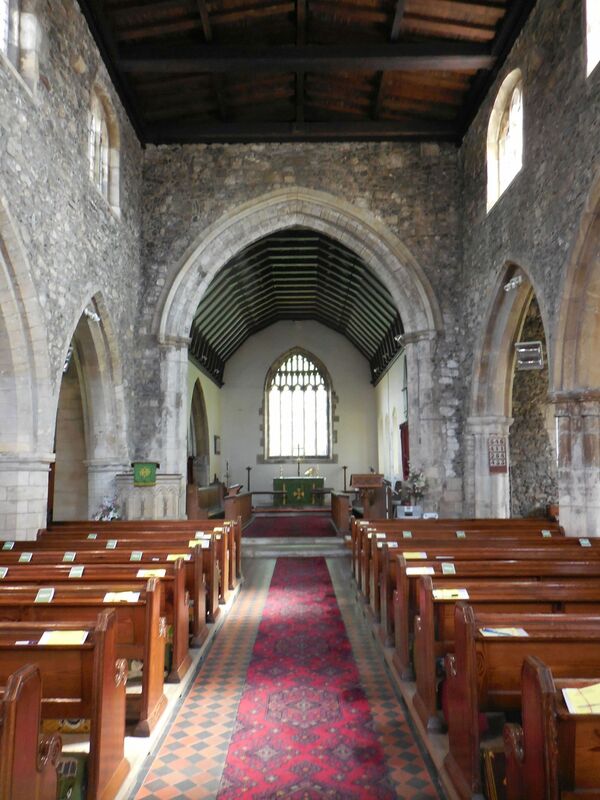 The Domesday Book mentions it with Baldwin of Flanders as its lord in 1086, himself a vassal of Drogo of la Beuvrière (see Hedon), along with 56 villagers, 7 smallholders and 3 men-at-arms, adding “there is a priest here and a church”. In 1115 the church at Preston was among those given to Aumale abbey in Normandy (see Hedon), but it was later ceded to the archbishop of York, who endowed the subdeanery with it in 1228. 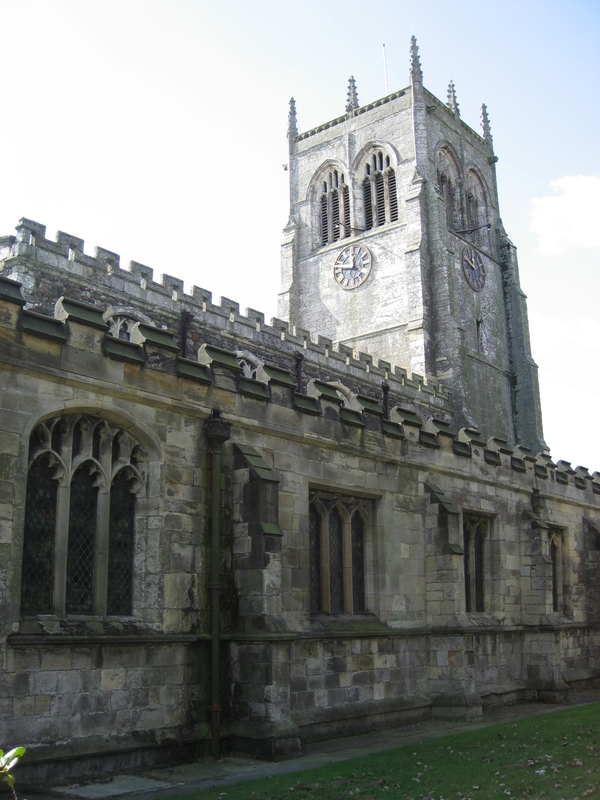 A vicarage had been ordained by the 1260s, and one of the holders of the office (1363) was Robert de Pickering, member of a junior line of the Pickerings of Oswaldkirk. The vicars of Preston also served Hedon. In 1293 Preston church took the name of All Saints. 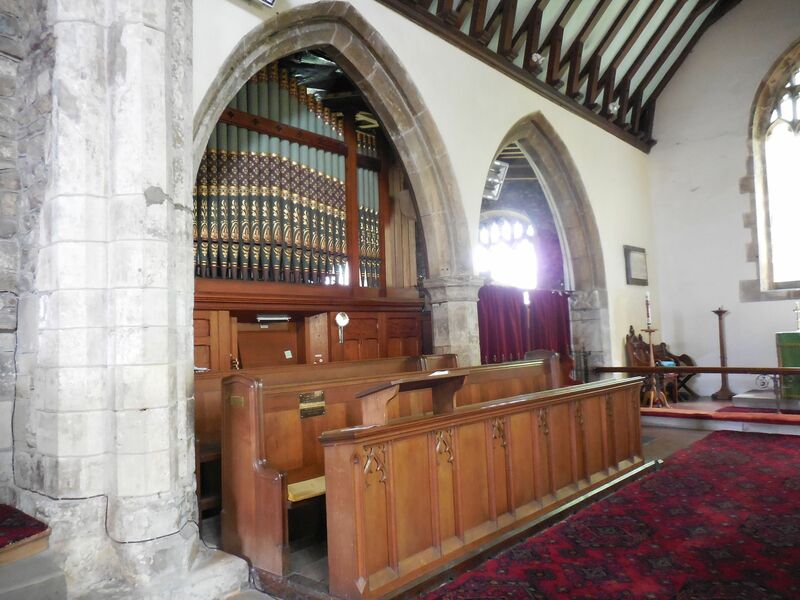 The building consists of a chancel with a north chapel, an aisled and clerestoried nave and a west tower. 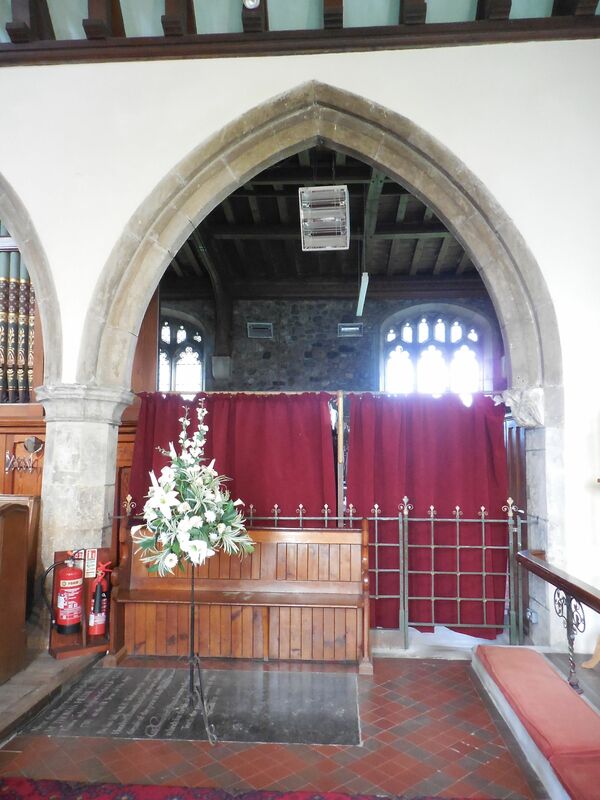 It is largely built of boulders, the exterior being clad in ashlar and rubble, whereas the interior was covered in plaster, which was removed in 1982. 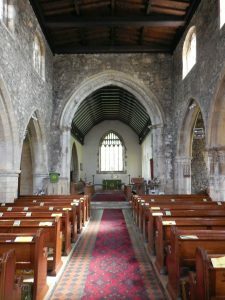 The chancel was rebuilt in the early 14th century, but retains earlier lancet windows, and the north aisle was added soon afterwards. 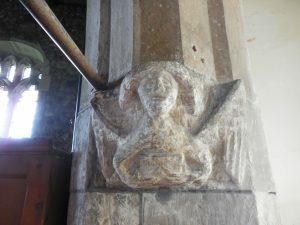 The north chapel dates from the 15th century and was perhaps built on the site of a chantry in honour of the Virgin Mary. 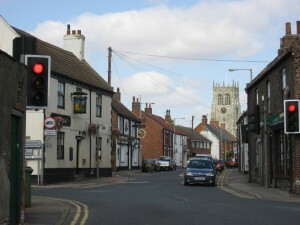 This chantry was founded in 1341 by Hugh of Preston, the parson of Halsham, who obtained a grant from king Edward III for a priest “perpetually to celebrate thereat for the souls of the said king, the canons of York, and of M. Robert of Pickering (Master Robert of Pickering, Dean of York, Archdeacon of Nottingham, died 1332), and the soul of the said Hugh de Preston, and his parents, &c.”. It became known as Pickering’s chantry and the office of chantry priest was occupied for at least two centuries after its founding. In the early 16th century the south aisle, clerestory and pinnacled tower were added to the church. Extensive restoration work was undertaken in the 1800s. Arable land was already extensive in 1086 and agriculture remained the principal activity in Preston until the 20th century, although some weaving took place between the 16th and 19th centuries. 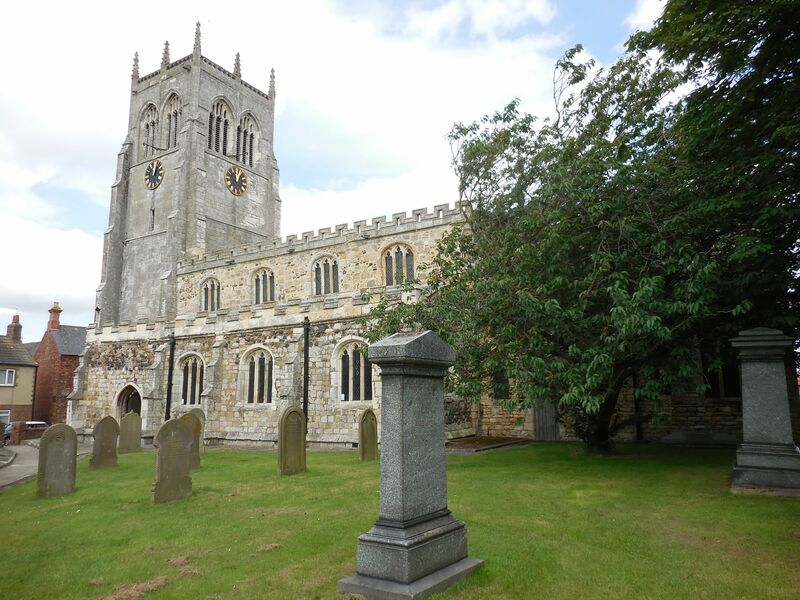 Much of the parish lies less than 7m above sea level so, to protect it from flooding, banks were built and the land was drained, the main drains being Old fleet and New fleet that flow respectively into the Humber estuary and Hedon haven. There is evidence that they were used for the shipment of grain in the 16th century and coal in the 17th. 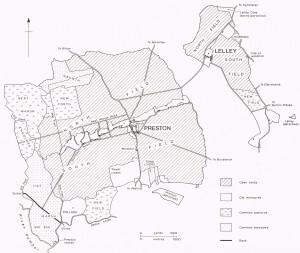 The area of Preston parish was reduced by the establishment of Hedon in the 12th century, and the detached parts of Dyke and Lelley did not compensate for this loss, as Dyke became depopulated and Lelley was eventually transferred to the neighbouring parish of Elstonwick. 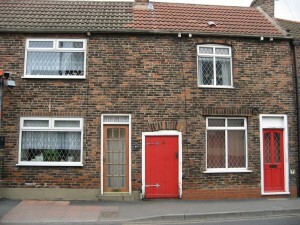 There were 371 poll tax payers at Preston in 1377, and the village contained 81 houses in 1438. Ninety households were listed in the hearth-tax return of 1673, the figure rising to 140 families in 1743 and 160 in 1764. Over the following centuries the population rose steadily to reach 1,422 in 1921, it exceeded 2000 in 1951, dipped in 1971, and stood at 3,258 in 2011 when the latest census took place. Preston has long been well served by roads, an early one being the route connecting the village to Preston staith or stakes, later straightened and named Staithes Road. Another route ran from Preston to Marfleet and thereafter to Hull, but in the 1700s the main road to Hull ran via Bilton, and it was not until 1830 that Preston could benefit from the more direct route linking Hedon with Hull which was built through its southern end. 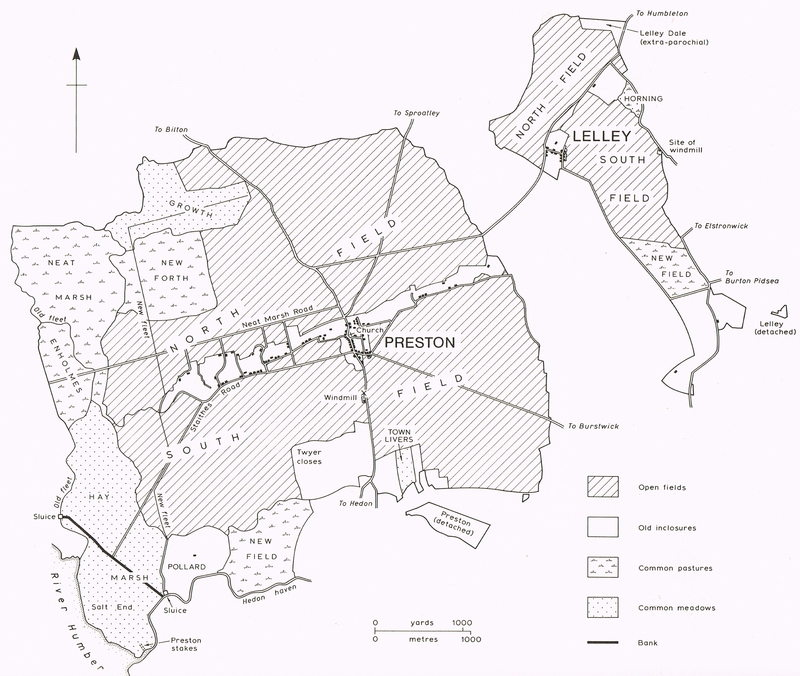 Like many Holderness villages Preston has a linear plan, and the old enclosures extended along most of the east-west road which separates North Field from South Field, both areas having already been mentioned in the late 13th century. The new enclosures of 1777 brought about many changes, including the village’s orientation along the north-south axis called Kirkeholme Street (later Main Street), which had been turnpiked in 1745. Housing was concentrated along this road in the 18th and 19th centuries and part of All Saints’ churchyard was taken over to widen it in 1831, though it retains a sharp bend to this day. 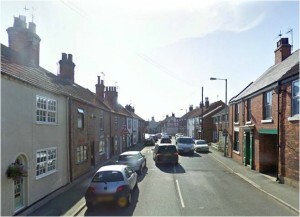 Three plots were awarded to Pickerings in 1777, two along Cottage Road (now Manor Road) and one on Staithes Road. William Pickering (1714-1770) from Hutton Cranswick was already established in the town as a bricklayer, and by the time of the new enclosures his sons William and Michael had followed him in the trade, Michael also having a licence to sell ale in 1776 and 1777. 1.1.2.9.2.12.4.1. Sarah PICKERING baptised 29 August 1736 Preston, married 30 November 1758 Preston James FRITH. 1.1.2.9.2.12.4.2. 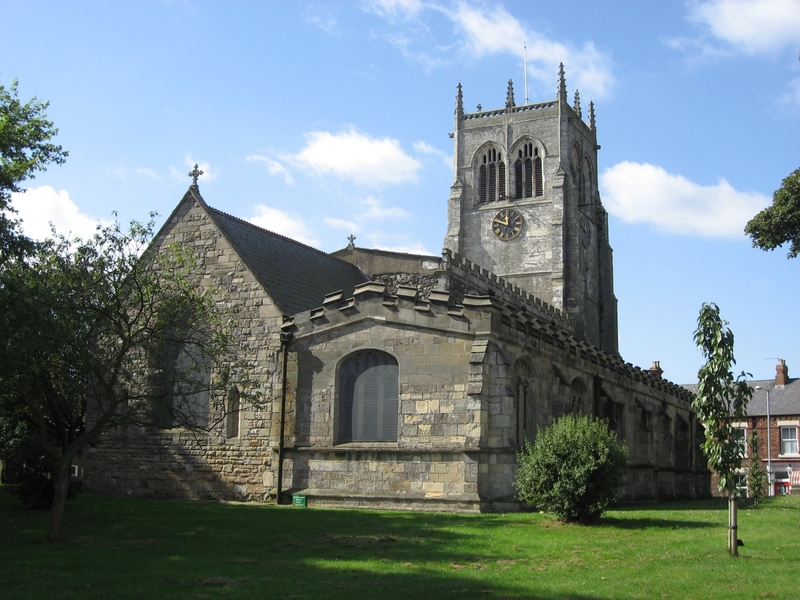 Elizabeth PICKERING baptised 3 March 1738 Preston, buried 28 1748 Hedon. 1.1.2.9.2.12.4.3. William PICKERING bricklayer, baptised 17 April 1743 Preston, married 3 June 1773 Preston Mary BATEMAN (daughter of William BATEMAN and Ann ACEY) baptised 1 November 1747 Preston. 1.1.2.9.2.12.4.4. Richard PICKERING baptised 7 July 1745 Preston, buried 7 October 1812, married 29 June 1767 Preston Sarah ACEY (daughter of John ACEY and Mary UNKNOWN) baptised 31 December 1744 Preston. 1.1.2.9.2.12.4.5. Hannah PICKERING baptised 27 September 1747 Preston, buried 23 November 1747 Preston. 1.1.2.9.2.12.4.6. 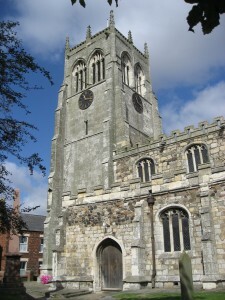 Hannah PICKERING baptised 6 November 1748 Hedon, buried 25 November 1748. 1.1.2.9.2.12.4.7. Michael PICKERING bricklayer, baptised 11 March 1750 in Hedon, buried 17 November 1801, married 3 January 1774 Preston Mary SHARP (daughter of William SHARP) baptised 16 May 1750 Hull, buried 25 May 1805. 1.1.2.9.2.12.4.8. Ann PICKERING born c1751, buried 3 February 1789 Preston, married 21 October 1771 Preston Thomas BATTY (son of John BATTY) labourer, baptised 30 August 1751 Hedon, buried 23 March 1832. 1.1.2.9.2.12.4.9. Mary PICKERING born c1752 in Preston, buried 26 November 1783 Preston. 1.1.2.9.2.12.4.10. Unnamed PICKERING stillborn, buried 3 April 1753 Preston. 1.1.2.9.2.12.6.1. John PICKERING tailor, baptised 2 August 1747 in Preston, buried 1 April 1819, married 25 May 1773 Preston Frances TODD, born c1754 Caistor, Lincolnshire, buried 25 December 1844. 1.1.2.9.2.12.6.2. Daniel PICKERING baptised 1 January 1750 Preston, buried 17 July 1753 Preston. 1.1.2.9.2.12.6.3. William PICKERING baptised 30 March 1752 Preston, buried 27 December 1753 Preston. 1.1.2.9.2.12.6.4. 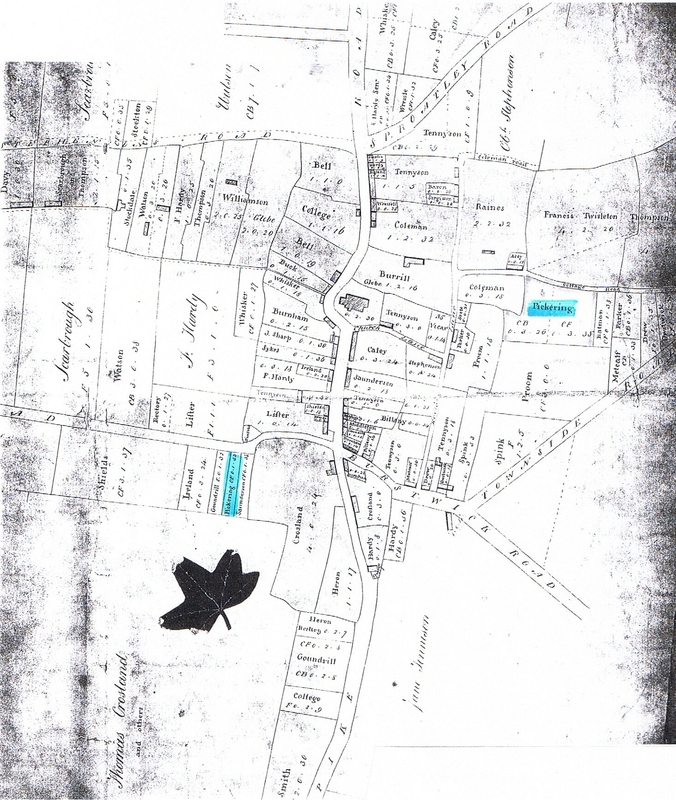 Daniel PICKERING born 1759 Preston, buried 20 August 1759 in Preston. 1.1.2.9.2.12.6.5. Mary PICKERING born 1760 Preston, buried 27 May 1760 Preston. 1.1.2.9.2.12.6.6. Sarah PICKERING born 1764 Preston, buried 12 May 1783 Preston. 1.1.2.9.2.12.4.3.1. William PICKERING baptised 9 February 1774 Preston, buried 6 April 1774 Preston. 1.1.2.9.2.12.4.3.2. Ann PICKERING baptised 24 September 1775 Preston, married 29 September 1806 Preston Peter HARDY. 1.1.2.9.2.12.4.3.3. Hannah PICKERING born 14 June 14, 1778 Preston, married 11 August 1798 Preston John SHEPHERD. 1.1.2.9.2.12.4.4.1. Mary PICKERING baptised 24 January 1768 Preston. 1.1.2.9.2.12.4.4.2. William PICKERING baptised 13 March 1770 Preston. 1.1.2.9.2.12.4.4.3. John PICKERING baptised 1 November 1772 Preston. 1.1.2.9.2.12.4.4.4. Mary PICKERING baptised 3 July 1774 Preston. 1.1.2.9.2.12.4.4.5. Hannah PICKERING baptised 14 April 1776 Preston. 1.1.2.9.2.12.4.4.6. Sarah PICKERING baptised 1 November 1778 Preston. 1.1.2.9.2.12.4.4.7. Ann PICKERING born 21 March 1781 Preston. 1.1.2.9.2.12.4.7.1. Hannah PICKERING baptised 22 March 1775 Preston, married 2 January 1799 Preston John FURNESS (son of Thomas FURNESS and Eleanor PICKERING) baptised 4 September 1775 Hedon. 1.1.2.9.2.12.4.7.2. Mary PICKERING baptised 19 November 1776 in Preston. 1.1.2.9.2.12.4.7.3. Unknown PICKERING was born c1777. 1.1.2.9.2.12.4.7.4. Richard PICKERING baptised 8 December 1777 Preston. 1.1.2.9.2.12.4.7.5. William PICKERING bricklayer, born 1 March 1779 Preston, died on 1 March 1843 Preston, married 19 May 1802 Preston Ann BATTY (daughter of William BATTY and Hannah LOTT) baptised 6 May 1781 Withernwick, buried 29 June 1824 Preston. 1.1.2.9.2.12.4.7.6. John PICKERING joiner, born 31 January 1781 Preston, married12 May 1808 Preston Frances RENNARDSON (daughter of John RENNARDSON and Mary DUNN) born 31 January 1784 Preston, died before 1851. 1.1.2.9.2.12.4.7.7. Sarah PICKERING born 27 April 1782 Preston, married17 November 1808 Preston Thomas BIGLIN. 1.1.2.9.2.12.4.7.8. Michael PICKERING born 13 February 1784 Preston, married1 August 1809 Paull Ann FROKINGHAM (daughter of William FROKINGHAM) baptised 20 May 1788 Burton Pidsea. 1.1.2.9.2.12.4.7.9. Mary PICKERING born 29 April 1785 Preston. 1.1.2.9.2.12.4.7.10. Richard PICKERING baptised 11 May 1788 Preston. 1.1.2.9.2.12.4.7.11. Jane PICKERING baptised 6 February 1791 Preston. 1.1.2.9.2.12.6.1.1. John PICKERING baptised 9 October 1774 Preston. 1.1.2.9.2.12.6.1.2. Daniel PICKERING baptised 25 February 1776 Preston, died 1851 Hull, married 6 May 1803 Jane UNKNOWN died on 6 May 1842 Hull. 1.1.2.9.2.12.6.1.3. Mary PICKERING born 2 Fabruary 1778 Preston. 1.1.2.9.2.12.6.1.4. John PICKERING born 2 February 1778 Preston. 1.1.2.9.2.12.6.1.5. David PICKERING born 1 January 1781 Preston, buried 17 August 1781 Preston. 1.1.2.9.2.12.6.1.6. Frances PICKERING baptised 22 May 1782 Paull, died before 1795. 1.1.2.9.2.12.6.1.7. David PICKERING subpostmaster, born 17 January 1784 in Hedon, and died 18 November 1877 Sproatley, married 27 June 1814 Hedon Ann SUTHERBY (daughter of William SUTHERBY and Sarah CONSTABLE) baptised 11 April 1789 Market Weighton, died after 1871 Sproatley. 1.1.2.9.2.12.6.1.8. Ann PICKERING born 12 May 1786 Hedon, died 15 June 1787 Hedon. 1.1.2.9.2.12.6.1.9. Elizabeth PICKERING shipwright, baptised 13 May 1788 Hedon, buried 18 March 1875 Scarborough, married 2 December 1809 Hedon Edward GELL (son of William GELL and Mary UNKNOWN) baptised 24 November 1790 Preston, died in 1819. 1.1.2.9.2.12.6.1.10. 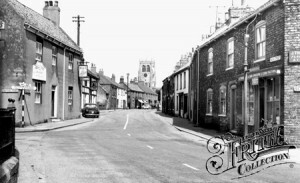 Sarah PICKERING born 1790 Hedon. 1.1.2.9.2.12.6.1.11. Ann PICKERING baptised 29 January 1793 Hedon, died 26 December 1877, married 15 December 1831 Hedon Richard RUDDIFORTH. 1.1.2.9.2.112.6.1.12. 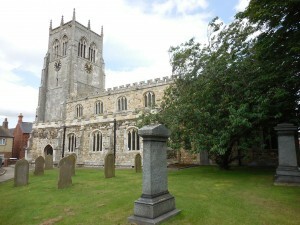 Frances PICKERING baptised 15 April 1795 Hedon. 1.1.2.9.2.12.6.1.13. Mary PICKERING baptised 26 April 1799 Hedon. 1.1.2.9.2.12.4.7.5.1. William PICKERING bricklayer, baptised 29 April 1804 Preston. 1.1.2.9.2.12.4.7.5.2. Michael PICKERING schoolmaster, baptised 4 May 1806 Preston, died on 16 March 1856 Swine, married 17 February 1834 Harriet MILLER born c1812 Hull. 1.1.2.9.2.12.4.7.5.3. Richard PICKERING bricklayer, baptised 10 July 1808 Preston, died 1879 Sculcoates, Hull married 1847 Sculcoates, Hull 1st Emma RENNARDSON (daughter of John RENNARDSON and Margaret CRAWSHAW) born c1821 in Southcoates, Hull, died October 1853, married 2nd 9 April 1859 Mary COLMAN baptised 4 October 1801 Preston, died before 1871. 1.1.2.9.2.12.4.7.5.4. Mary PICKERING baptised 18 November 1810 Preston. 1.1.2.9.2.12.4.7.5.5. Hannah PICKERING baptised 13 June 1813 Preston. 1.1.2.9.2.12.4.7.5.6. John PICKERING bricklayer baptised 4 February 1816 Preston, died 1888 Coniston, married 1st 1846 Sculcoates, Hull Martha JOBLING born c1822 Swanland, died 1860 Preston, married 2nd 1861 Sculcoates, Hull Sarah OMAN (daughter of John OMAN and Martha HOLLIDAY) born December 1827 Withernwick. 1.1.2.9.2.12.4.7.5.7. Thomas PICKERING bricklayer, baptised 1 November 1818 Preston, died 13 November 1861 in Preston, married1855 Sculcoates, Hull Dinah THOMPSON (daughter of John THOMPSON and Ann UNKNOWN) baptised 6 February 1831 Little Coates, Lincolnshire. 1.1.2.9.2.12.4.7.5.8. Elizabeth PICKERING baptised 9 September 1821 Preston. 1.1.2.9.2.12.4.7.6.1. John PICKERING marine store dealer, baptised 29 March 1810 Preston, died before 1871 in Hull, married 5 September 1831 Hull Ann LOWNSBOROUGH born c1810 in Hull. 1.1.2.9.2.12.4.7.6.2. Michael PICKERING master bricklayer, baptised 2 October 1811 Preston, married 1st 24 March 1836 Harriet DARLEY died before 1851, married 2nd before 1871 Hull Mary UNKNOWN born 1814 Hull. 1.1.2.9.2.12.4.7.6.3. Frances PICKERING seamstress, baptised 24 September 1815 Paull. 1.1.2.9.2.12.4.7.6.4. Mary PICKERING charwoman, baptised 25 January 1818 Paull. 1.1.2.9.2.12.4.7.8.1. Charles PICKERING baptised 16 December 1809 Preston, married 24 November 1834 Hollym Susannah MASON (daughter of John MASON and Mary UNKNOWN) baptised 12 August 1815 Keyingham. 1.1.2.9.2.12.4.7.8.2. Jane PICKERING baptised 19 February 1815 Paull. 1.1.2.9.2.12.4.7.8.3. Sarah PICKERING baptised 3 May Paull, buried 26 September 1873 Patrington, married13 December 1879 Patrington Robert NORTON baptised 3 November 1811 Patrington, died 12 July 1879 Patrington. 1.1.2.9.2.12.4.7.5.2.1. Ann Elizabeth PICKERING baptised 29 April 1838 Swine, died 1838 Swine. 1.1.2.9.2.12.4.7.5.3.1. Sarah Ann PICKERING domestic born 1849 Preston, died after 1871. 1.1.2.9.2.12.4.7.5.3.2. Emma PICKERING born December 1850 Preston, died August 1853 Preston. 1.1.2.9.2.12.4.7.5.3.3. Frederick PICKERING bricklayer, born 1 November 1852 Preston, died 5 July 1930 East Sculcoates, Hull, married 31 March 1877 Hull Sarah Ann HASWELL (daughter of Richard HAZMALANCH LAMB and Ann HAZMALANCH GILCHRIST) born 16 January 1855 Hull, died 2 March 1919 Sculcoates, Hull. 1.1.2.9.2.12.4.7.5.6.1. 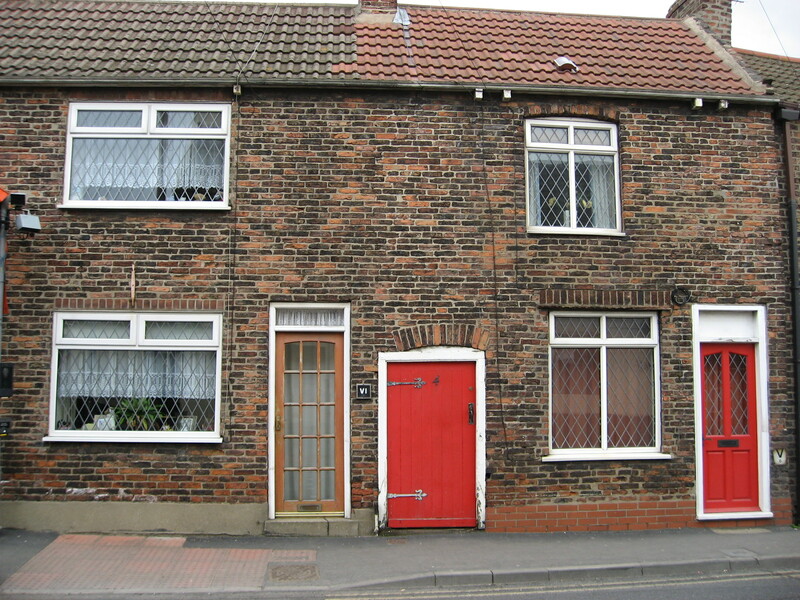 William PICKERING bricklayer, born c1847 Preston, married Annie UNKNOWN born c1848 Rillington, North Yorkshire. 1.1.2.9.2.12.4.7.5.6.2. 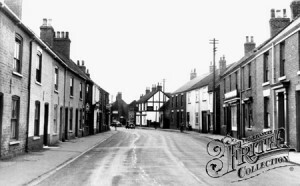 Michael PICKERING born c1850 Preston, married 1884 Skirlaugh Mary Ann COOK dressmaker (daughter of George COOK) born 1852 Sutton. 1.1.2.9.2.12.4.7.5.6.3. Ann Elizabeth PICKERING baptised 11 January 1852 Preston, died 16 May 1888 Preston. 1.1.2.9.2.12.4.7.5.6.4. Sarah PICKERING domestic servant, born 1 September 1853 Preston, died 1883, married 1880 Swine John Henry Speck STEPHENSON post messenger (son of William STEPHENSON and Mersana SPECK) born 25 August 1855 Aldbrough. 1.1.2.9.2.12.4.7.5.6.5. Alice PICKERING baptised 27 July 1862 Coniston. 1.1.2.9.2.12.4.7.5.6.6. John Oman PICKERING builder, born 1864 Coniston, died on 2 February 1941 Brisbane, Queensland, Australia, married 1899 Skirlaugh Lilian Beatrice GABBETIS (daughter of Charles Henry GABBETIS and Elizabeth ANDERSON) born c1878 Etton. 1.1.2.9.2.12.4.7.5.6.7. Lucy PICKERING domestic servant, baptised 23 January Coniston. 1.1.2.9.2.12.4.7.5.6.8. Thomas PICKERING bricklayer, born 1869 Coniston. 1.1.2.9.2.12.4.7.5.6.9. Martha PICKERING born 1872 Coniston. 1.1.2.9.2.12.4.7.5.7.1. Ann PICKERING born c1857 Preston. 1.1.2.9.2.12.4.7.5.7.2. Thompson PICKERING born 1859 Preston, buried 24 September 1860 Preston. 1.1.2.9.2.12.4.7.5.7.3. Ada Mary PICKERING born 1861 Preston, buried 25 July 1862 Preston.